With more extensive amenities than any dorm, Riverview takes care of your comfort so you can take care of your college life. 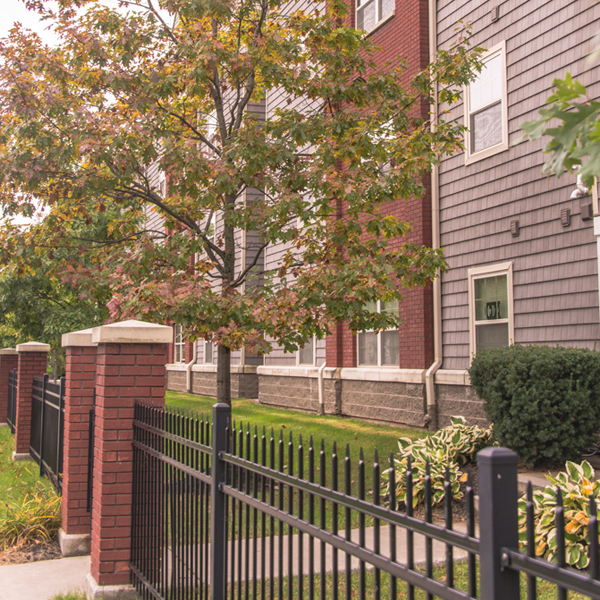 Apartments have everything you need to move right in and your community amenities offer convenience and peace of mind. 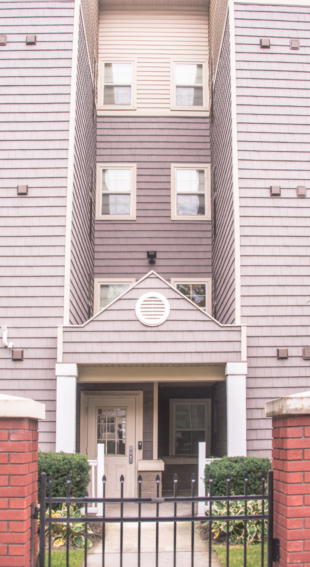 We understand that your new life at Riverview may be your first time living away from home. That’s why our apartments are move-in ready to make your transition as smooth and simple as possible. This means fully furnished apartments; central air conditioning; a full kitchen with stove, refrigerator, dishwasher and microwave; and a full private bathroom for every bedroom. We take on the big responsibilities at Riverview Collegiate Living. We have 24-hour emergency maintenance so you can focus on doing what you enjoy most. There’s a laundry room in every building and convenient parking close to every entrance. 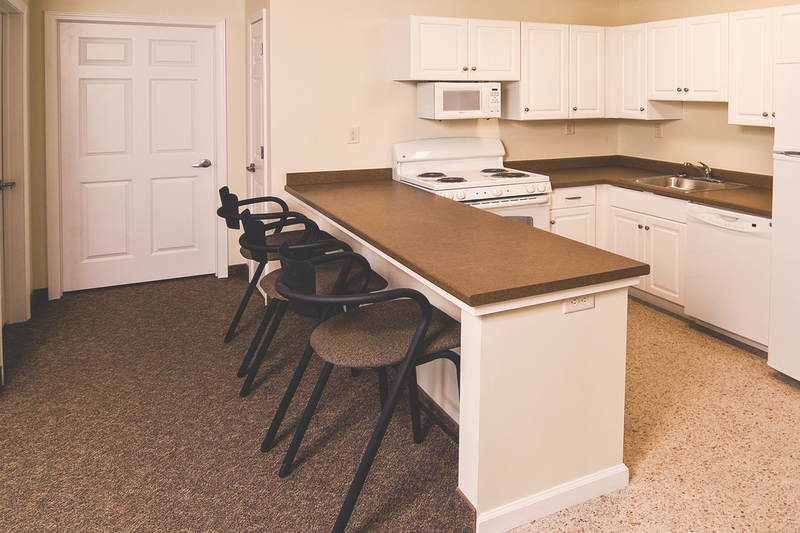 Building F features a community room with full kitchen - ideal for hosting study groups, friendly gatherings, and more.